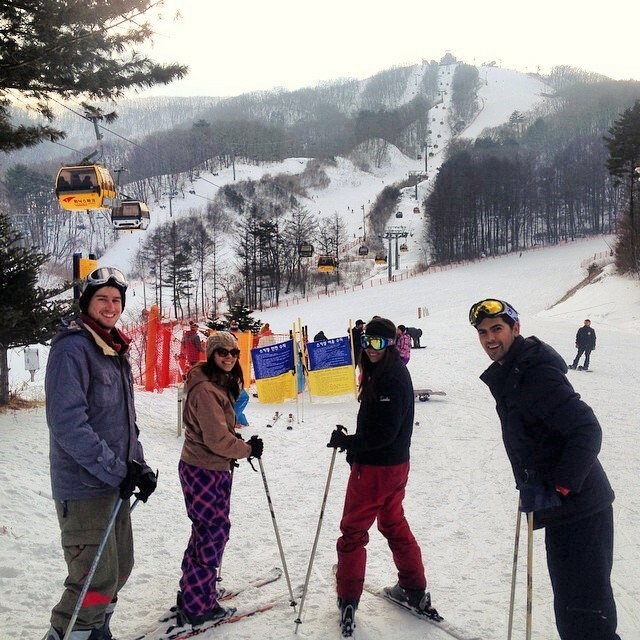 On Saturday, Zach and I went with Paul, Pam, and their fellow Floridian, Bryce, to Pyeongchang to ski. 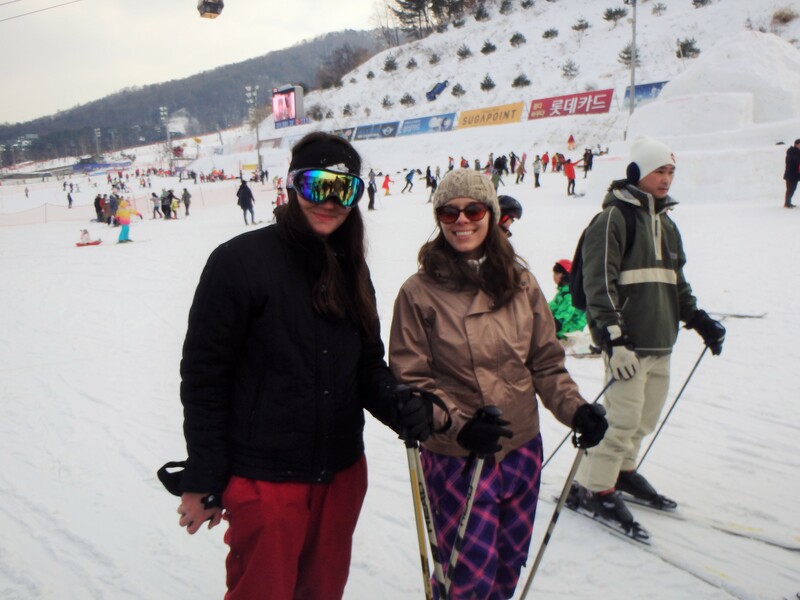 Pyeongchang is the host of the 2018 Winter Olympics so it was pretty exciting that we were going to ski there. 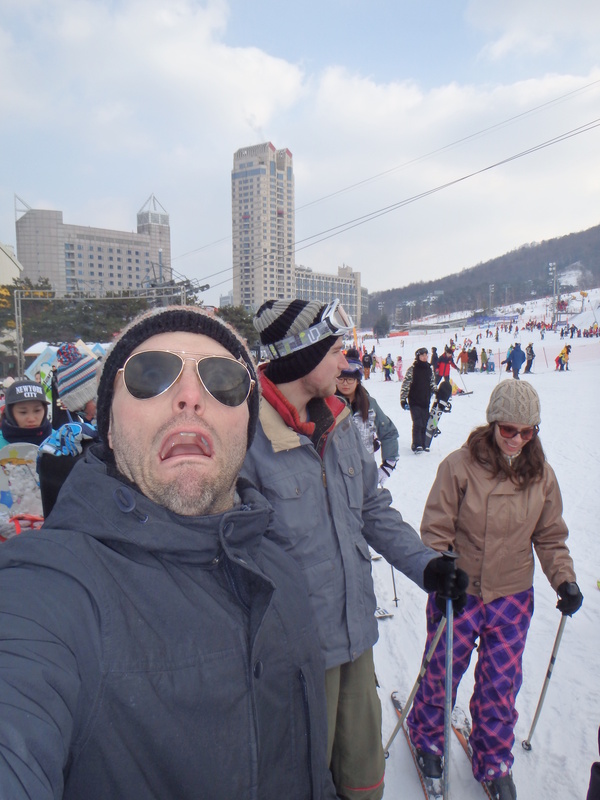 We went with Adventure Korea, the same company we used for the ice fishing festival. 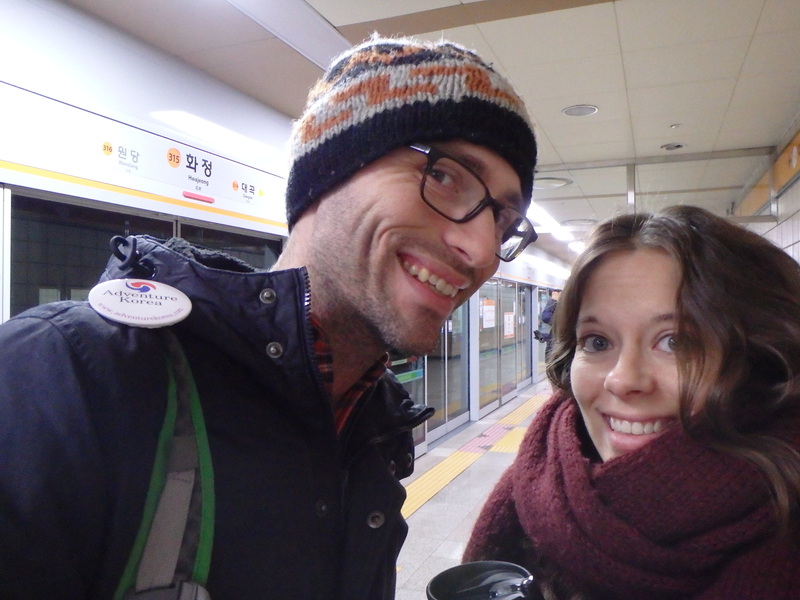 It was an early morning… We got up around 5:15 and caught the subway at 6:30 to get into Seoul. 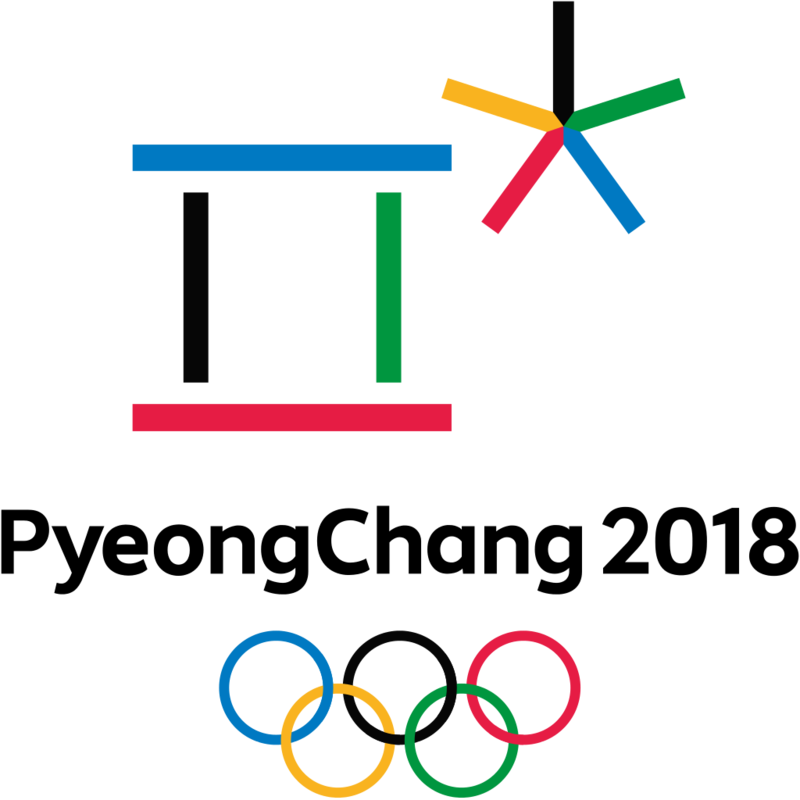 Our bus picked us up at 7:30 and made a second stop at 8 before starting for Pyeongchang. We were all exhausted and slept most of the way before we stopped at a rest area to use the bathroom and get snacks. 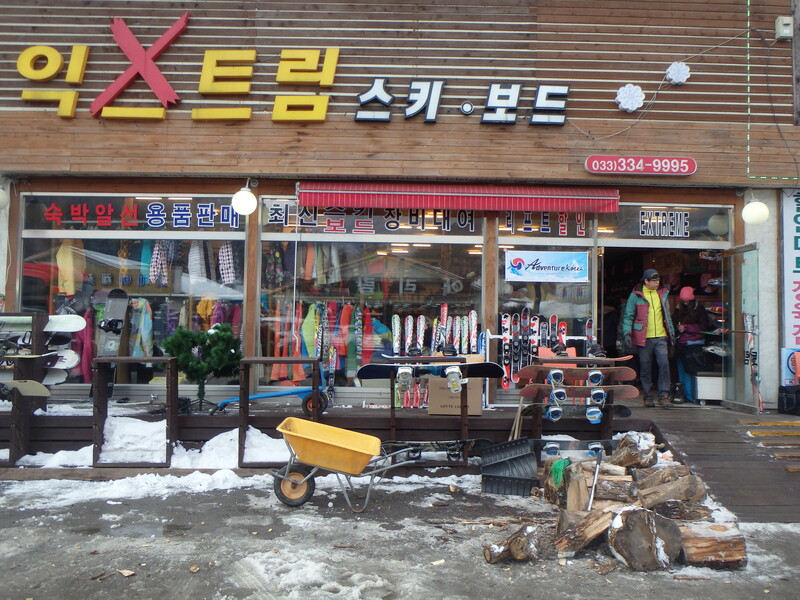 It wasn’t much further down the road to the rental shop where we got our skis, boots, and rental clothes. It was pretty chaotic when we arrived though. No one knew exactly what was going on. 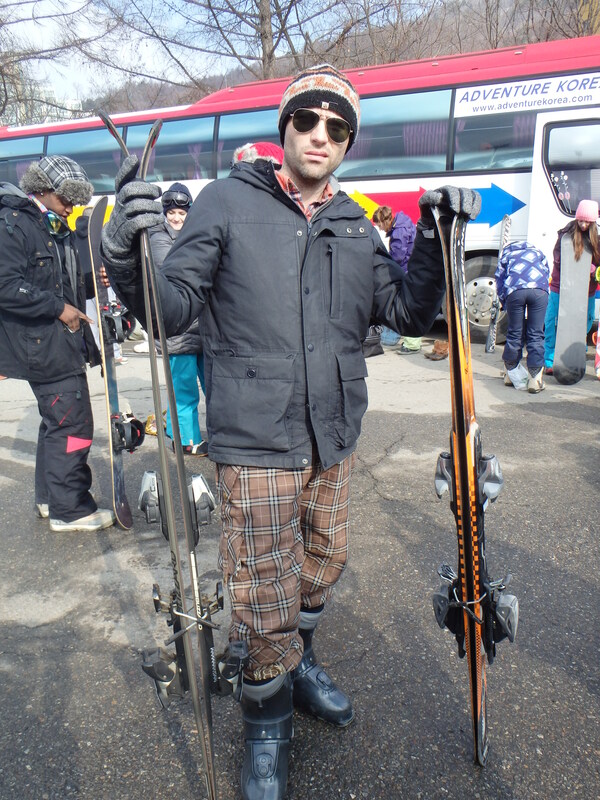 We didn’t know if we were getting just the boots or the rental clothes, too. Eventually we figured out that it was the only stop for rental supplies. First, we got our boots which had already been set aside for each of us (we sent our sizes when we signed up for the trip). Then we had to try them on in an incredibly small space and somehow also look at the rental clothes, try them on, and pay for them. 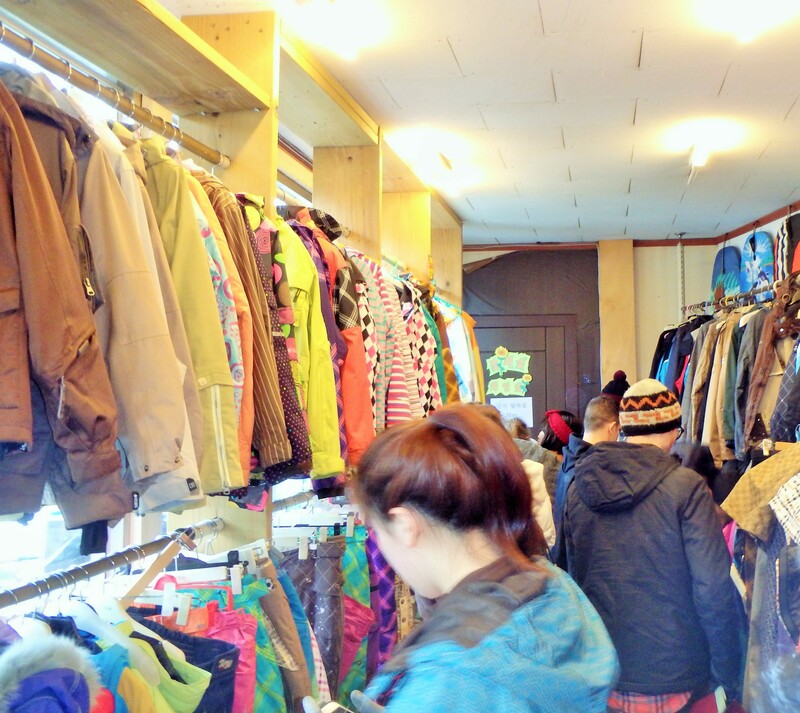 The rental clothes were a good deal, 10,000₩ for a jacket/pants set or 5,000₩ for one. However, there wasn’t a changing space so you had to try the pants on over your clothes and then change on the bus. Fun! 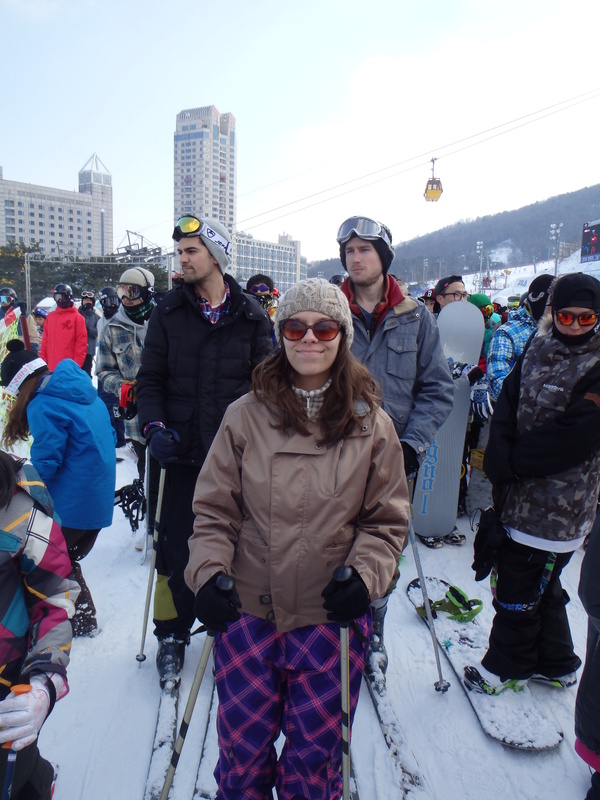 I decided to get the worst pattern and color possible so that I would stand out on the mountain. Nothing really fit too well but it was just for a day. 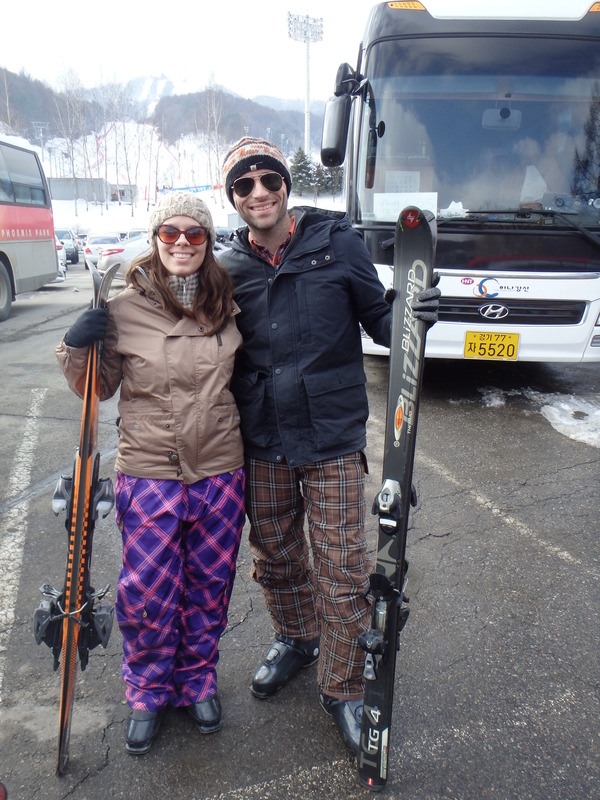 We all clamored back on the bus with our ski boots and clothes and tried to change as we were going down the road to the resort. 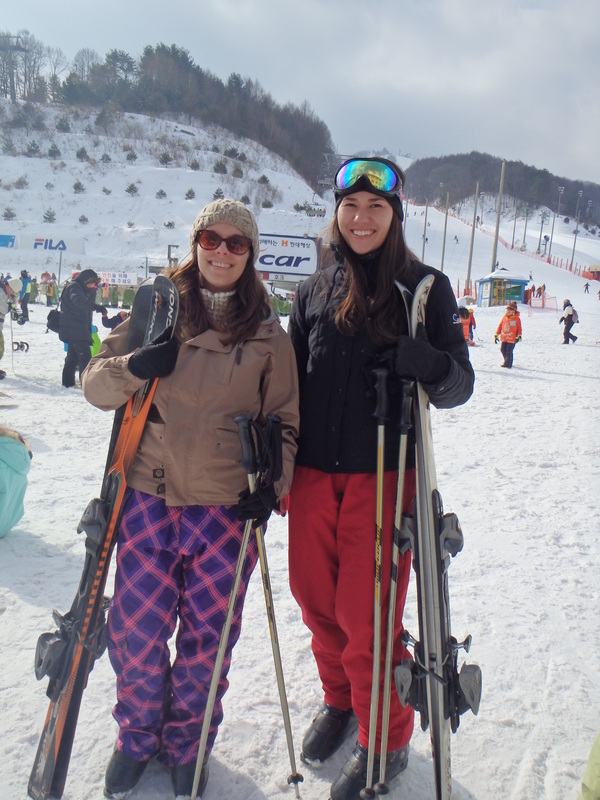 We skied at Phoenix Park which is where the snowboarding and mogul competitions will be held for the Olympics. 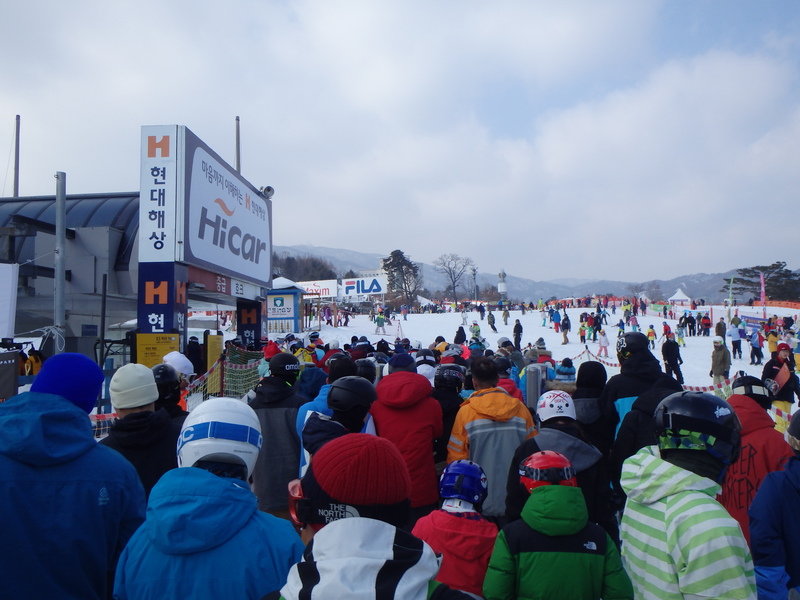 There was some stand around and wait time once we arrived so that our skis and snowboards could be distributed along with the lift tickets. 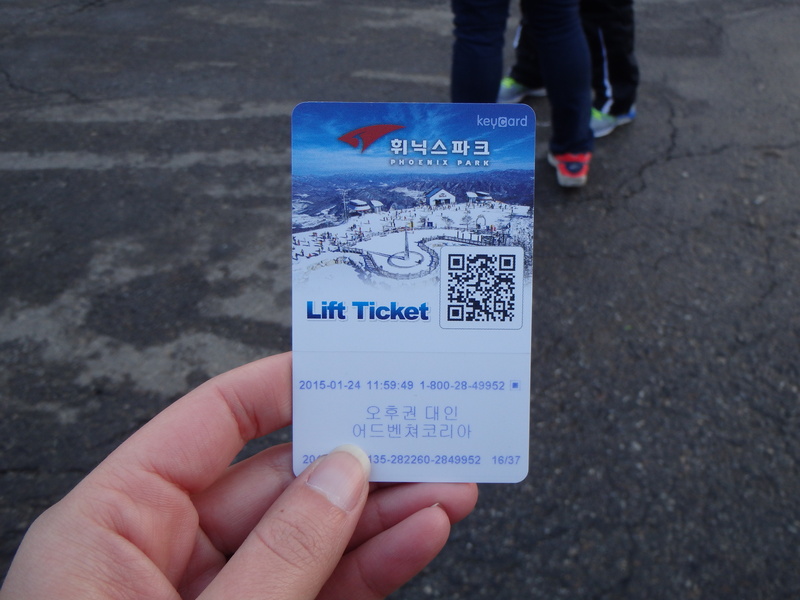 It has been over 10 years since I skied in the States, but I was surprised to see that the lift tickets were actually cards. Is that a new trend everywhere or just a Korean thing? 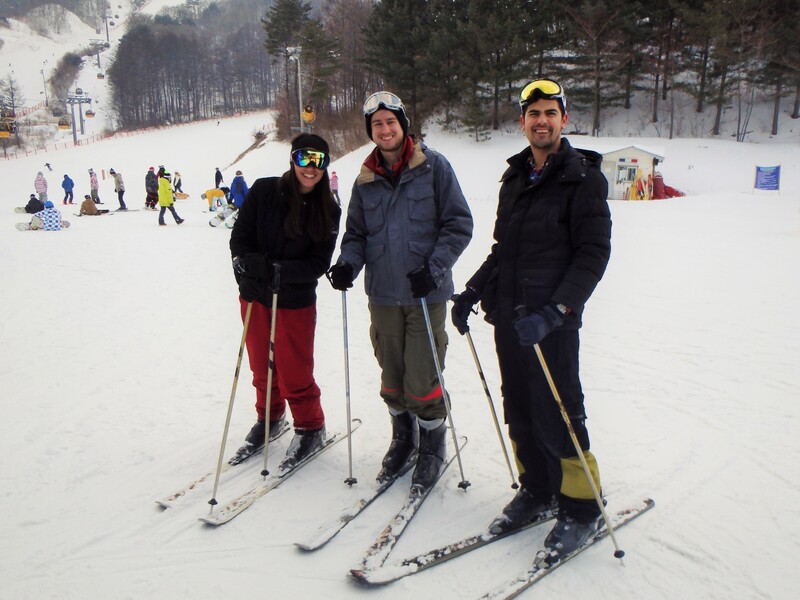 There was a beginner’s lesson offered, and since Bryce and I were the only ones who had skied before, we stuck around so that Pam, Paul, and Zach could get some basics. But we soon learned that it was going to be taught by our bus driver?! Paul and Bryce ditched it for the bathroom while we stayed to see how it went. It wasn’t much of a lesson. At least not in the beginning. 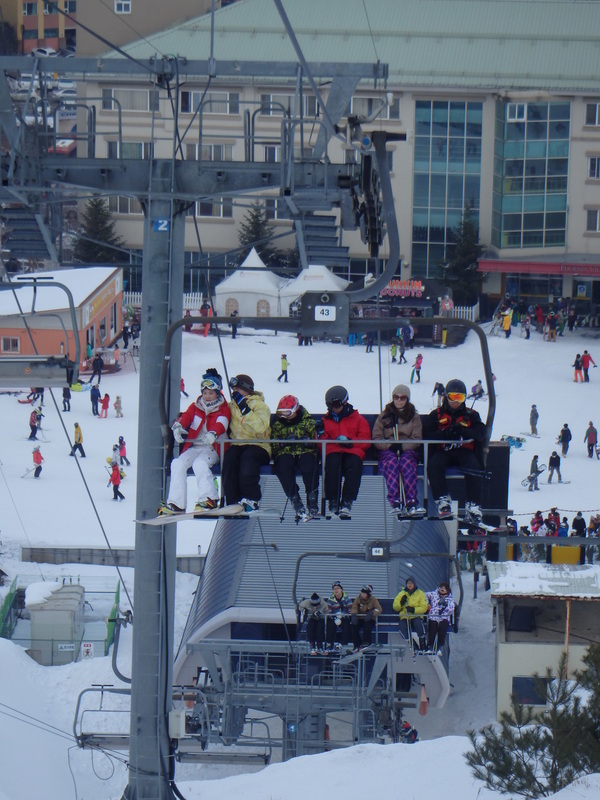 So we decided that Bryce and I could show the newbies how to ski, and we got in line for the lift. At the top of the lift we thought we should go down this hill… turns out we shouldn’t have. You can see Pam in the red already down. It looks more tame than it was. 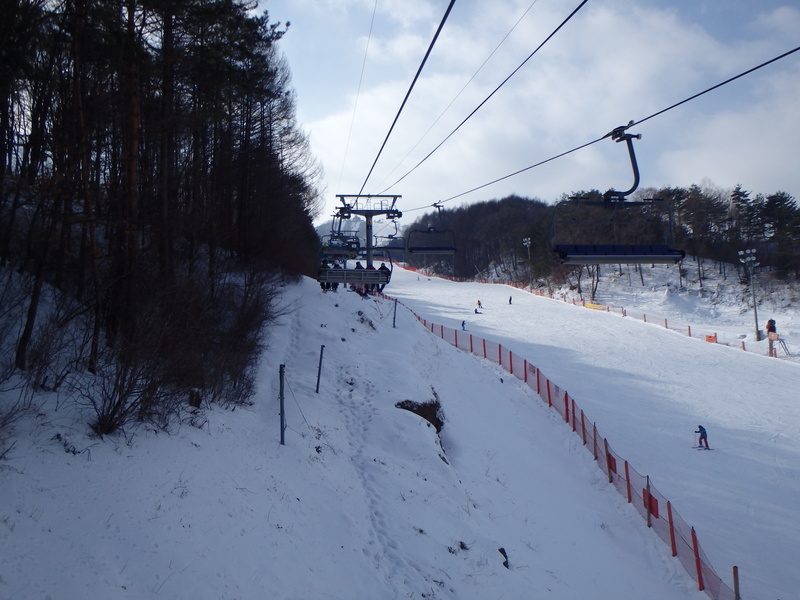 When we got to the top of the lift we got off and turned to the right where we saw two options, an adventure park with jumps, and a wide hill. So we chose the wide hill. It was a terrible first run for the newbies. 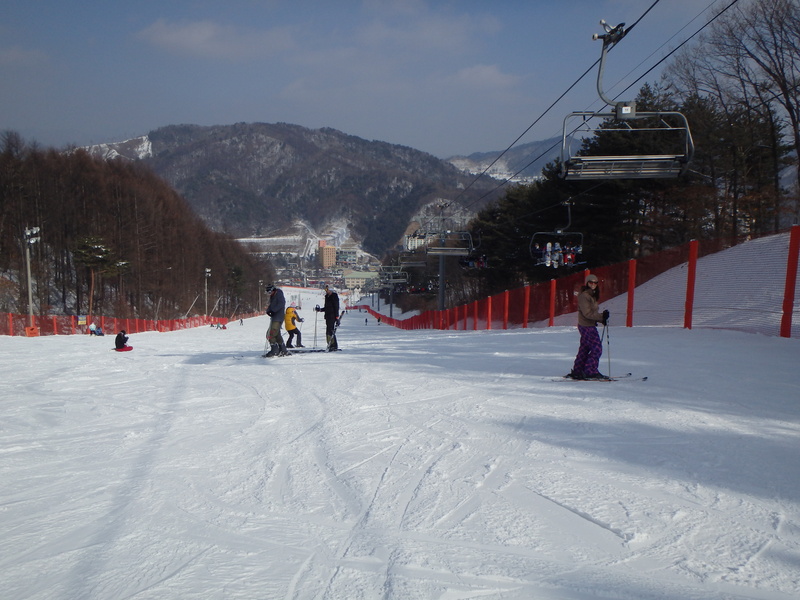 It was wide, but very steep. Zach had a decent first run, but Pam and Paul didn’t fare so well. 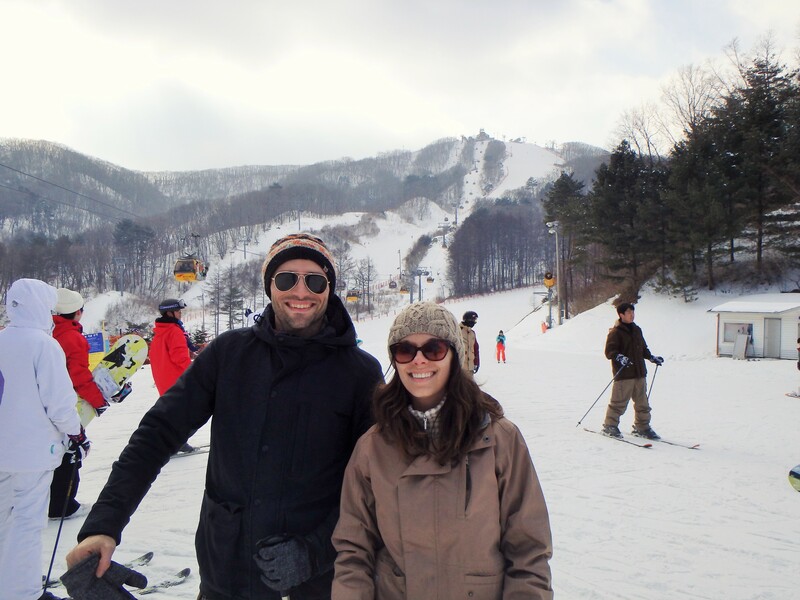 We skied down it a second time before realizing that it was a blue run! Whoops. On our third trip up we discovered a green run in front of the lift that was a little bit hidden but much easier. So we took the newbies there for a flatter practice area. All in all, we got in several good runs and our four hours was a good amount of time to get back into the swing of things (for me) and for the newbies to feel more comfortable. Unfortunately, we didn’t get to explore much of the mountain. We also never found a map of the entire mountain so we really had no idea where else we could go that would have green runs. Pam’s decision to sit out the last run was fortuitous. 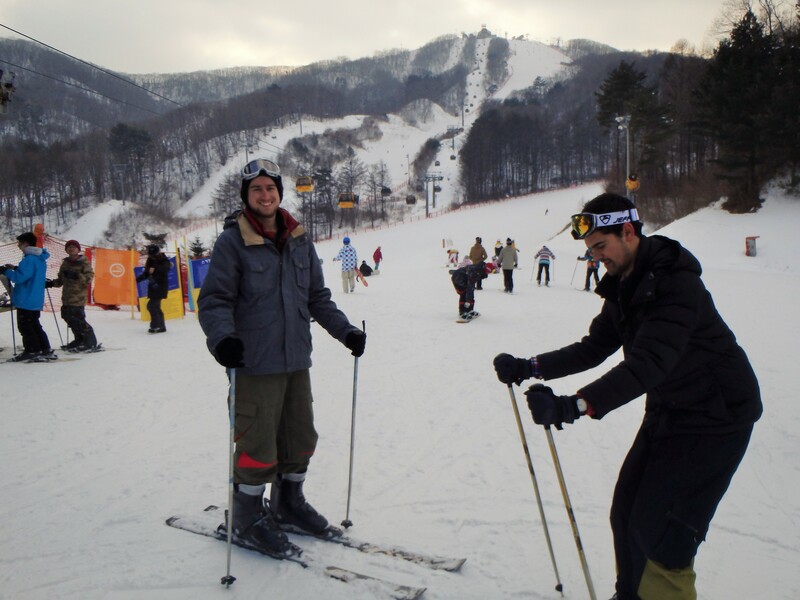 Both Zach and Paul had their worst falls of the day. 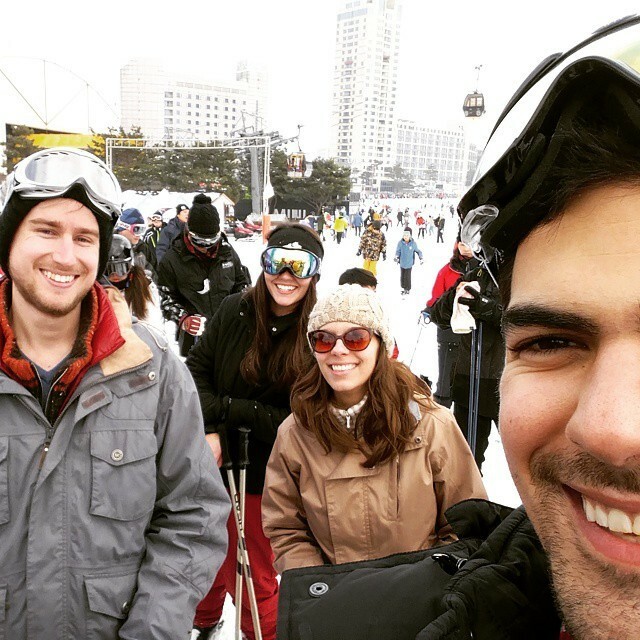 Zach smashed into a sitting snowboarder, and Paul fell and hurt his ankle.